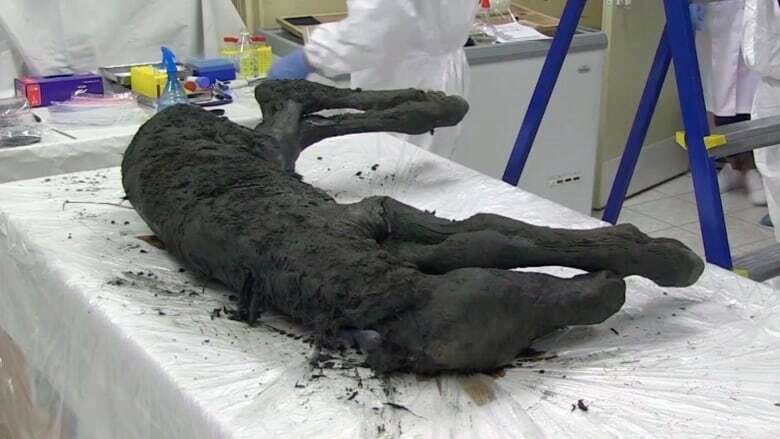 Russian scientists have found the carcass of an ancient foal perfectly preserved in the Siberian permafrost. The fossil — discovered in the region of Yakutia — has its skin, hair, hooves and tail preserved. Yakutia is also famous for having found woolly mammoth fossils in the permafrost. Scientists from Russia's Northeast Federal University, who presented the discovery Thursday, said the foal is estimated to be 30,000 to 40,000 years old. They believe it was about two months old when it died. Ice age steppe bison skull found near Tuktoyaktuk, N.W.T. 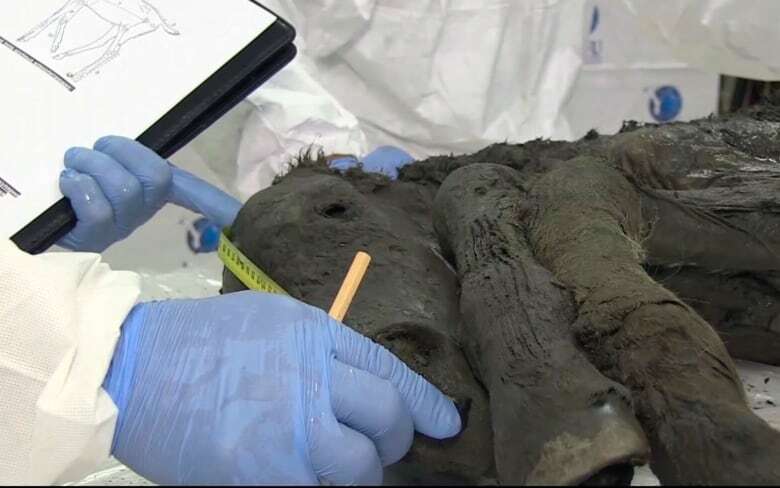 Semyon Grigoryev, head of the Mammoth Museum in the regional capital of Yakutsk, was surprised by the perfect state of the find, noting it's the best-preserved ancient foal found to date. The foal was discovered in the Batagaika crater, a huge, 100-metre-deep depression in the East Siberian taiga ecoregion.